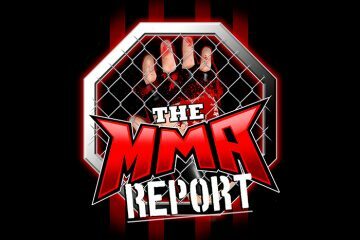 On this week’s episode of The MMA Report Podcast, Jason and Daniel discuss some of the latest hot topics in mixed martial arts. Plus, Jason has interviews with Alejandra Lara, Saad Awad, Tim Caron, and Jared Gooden. 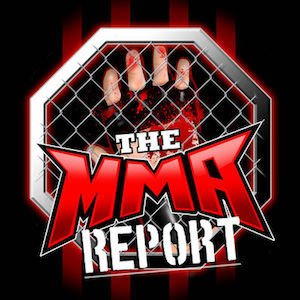 At the beginning of this week’s podcast, Jason and Jason touch on three hot topics items in MMA: Dave Meltzer’s piece on UFC/ESPN deal, Craig White saying he lost 46 pounds to make weight for his short notice fight against Neil Magny last month at UFC Liverpool, and Chris Curtis announcing his retirement from mixed martial arts competition following his win on Dana White’s Tuesday Night Contender Series. After discussing those three topics, they touch on Saturday’s UFC Fight Night card that will take place in Singapore. They tell you which fights still out to them on the prelims and the touch on the main and co-main event fights. Then it’s on to the interview portion as you will hear Jason’s conversations with Alejandra Lara, Saad Awad, Tim Caron, and Jared Gooden. Lara previews her fight against flyweight champion Ilima Macfarlane at next week’s Bellator 201. Up next is the conversation with Awad, who talks about his fight in the co-main event of Bellator 201 against Ryan Couture. 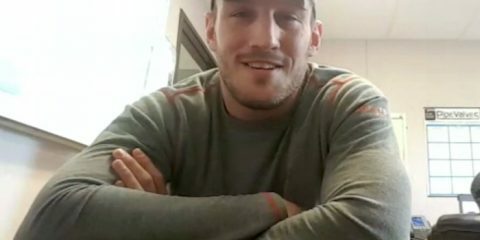 Following the interview with Awad, Caron joins the show to preview his matchup next week on Dana White’s Tuesday Night Contender Series against Andrew Todhunter. And in the final interview, Jason chats with Jared Gooden about his fight on Friday at NFC against Ladarious Jackson. Upon the conclusion of the conversation with Gooden, you will hear the weekly Buy/Sell segment as the guys discuss five MMA related questions and they wrap up this episode of the podcast by previewing Thursday’s PFL 2.